Sara has a strange encounter with two monsters in The Oregon Garden. The monsters come out for Halloween, and the garden is no exception. Some plants, like the Sequoiadendron giganteum ‘Pendulum’ above, are downright bizarre, even supernatural. With our minds on tricks and treats we are seeing creatures everywhere! This Acer saccharum ‘Newton Sentry’ looks more like a giant, multi-armed alien than a maple tree! This creature, rearing up on its hind legs, looks particularly ferocious. It’s really a Picea omorika ‘Pendula Bruns’. At Iseli, it appeared, it was too dangerous to linger. Would Buchholz & Buchholz be any safer? We were weary of running and hoped to find safety soon. So on to Circle Oak Ranch, where we breathed a collective sigh of relief. No sooner were we settled than we realized that we had been invaded! Everything just looked eerier and eerier to us…spider webs were everywhere. Giant blue gardener-eating amoebas flowed along the ground, creeping along at our feet, sending out tentacles to nibble at our toes. Amoeba-like Juniperus horizontalis ‘Blue Chip’ creep along the ground. Some of the monstrous brutes have fierce teeth, which look like they could make short work of us. We scurried away. Where would we be safe? The sharp leaves of Agave ‘Blue Glow’ look like so many enormous teeth. How had we not noticed all of the teeth before? They were everywhere! This Dyckia arizona tried to bite us as we passed. Exhausted, and with darkness falling, we realized that we needed to seek shelter in the house. We ran down the hill, passing a trio of demons, barely escaping their clutches. Three hulking monsters tried to grab us as we passed. Only when the humans leave and the sun goes down do the creatures really come out to party! A very Happy Halloween to all from the Phantoms and Fiends at Form and Foliage! 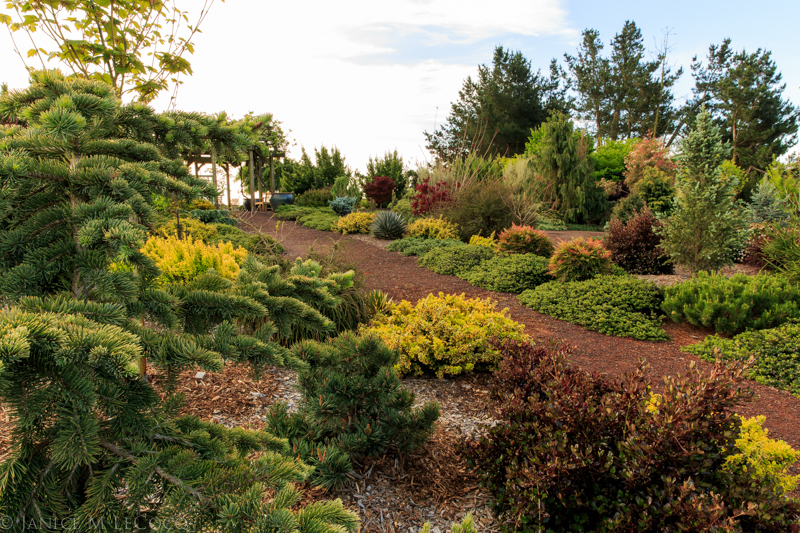 Categories: Autumn, Buchholz & Buchholz, Circle Oak Gardens, Iseli Nursery, Quarryhill Botanical Garden, The Oregon Garden | Tags: American Conifer Society, conifers, evergreen shrubs, evergreens, foliage plants, Halloween, woody shrubs | Permalink. 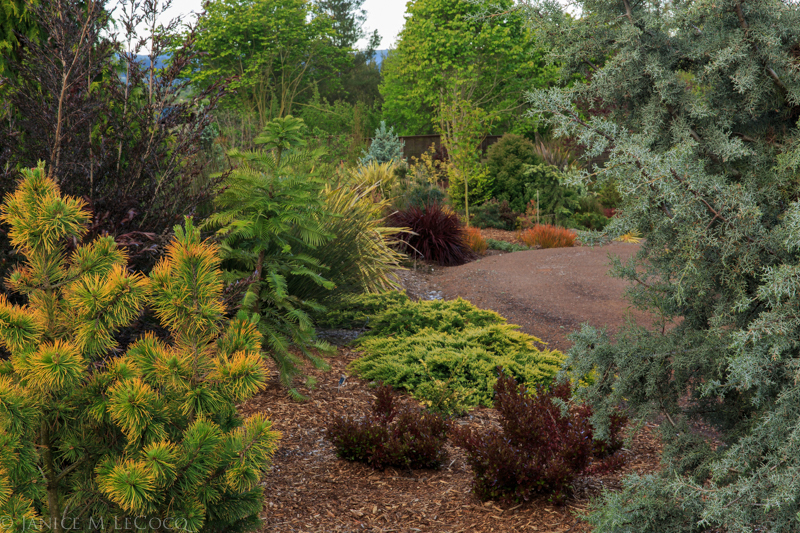 Categories: Autumn, Buchholz & Buchholz, Circle Oak Gardens, Iseli Nursery, Quarryhill Botanical Garden, The Oregon Garden | Tags: American Conifer Society, conifers, evergreen shrubs, evergreens, foliage plants, woody shrubs | Permalink. We’ve long intended to provide plant lists for readers, with criteria such as ‘most durable’, ‘best winter interest’, ‘prettiest, etc. However as we begin, after a long hiatus, to to assemble the lists, we find that the easiest one to create is the list of plants that we simply can’t imagine being without. These aren’t the hardiest or the prettiest or the most drought-tolerant, they’re the go-to plants that both do the job and look like they are doing it effortlessly. This list is from the perspective of a long-time San Francisco Bay Area gardener, so may not apply to your situation. However, others’ lists are simply excuses to create your own, so if you don’t have a ‘must have’ list already, this is your chance to begin! We will note up front that all of these selections are more expensive than many other plants of similar look and size. However, they are worth it! Plants that behave well, that do not readily outgrow their spaces, are not susceptible to pathogens or predators and have long lives should cost more. 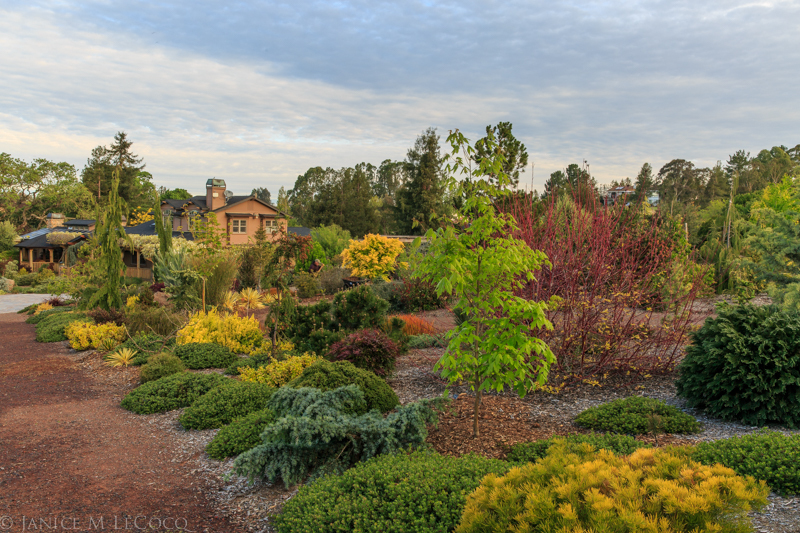 How many cartloads of perennials do you really need every season? Forego one of them and buy a special plant instead. 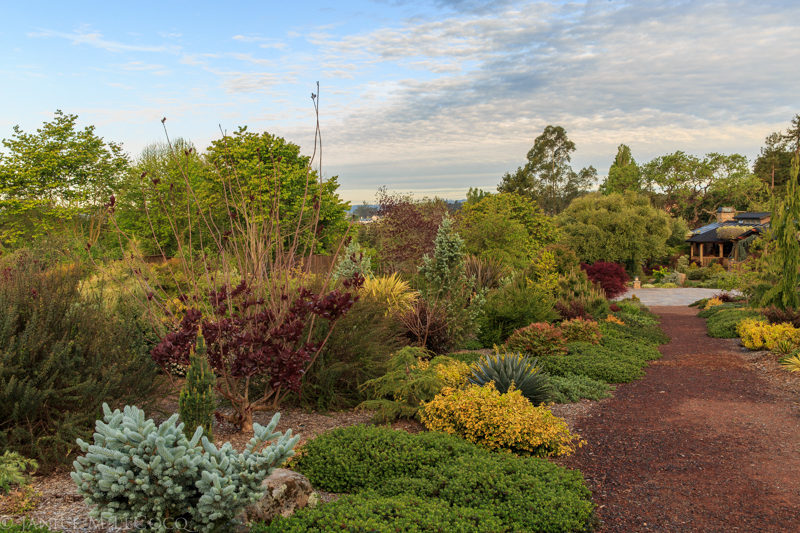 It’s drought tolerant, thrives in most soils and needs little to no upkeep. So far all we’ve had to do is to cut off a few spent flower stalks. It’s smaller ‘cousins’ Yucca filamentosa ‘Color Guard’ and Yucca gloriosa ‘Tiny Star’ have many of the same attributes with a smaller profile (and ‘Color Guard’ is clump-forming). 2. Next is our favorite dwarf Ginkgo biloba, ‘Todd’s Dwarf’ (Zone 3-10). Ginkgo are ancient trees that have barely changed over the millennia. Where they have changed, man has been the manipulator, cultivating naturally occurring mutations and interesting chance seedlings and producing numerous garden-sized small trees. The species Ginkgo, albeit slow-growing, attains heights of 70-80 feet, while these petite versions are often under 4′ at 10 years. They have interesting branching and leaf variations although all retain a semblance of the iconic ‘butterfly’ leaf shape. 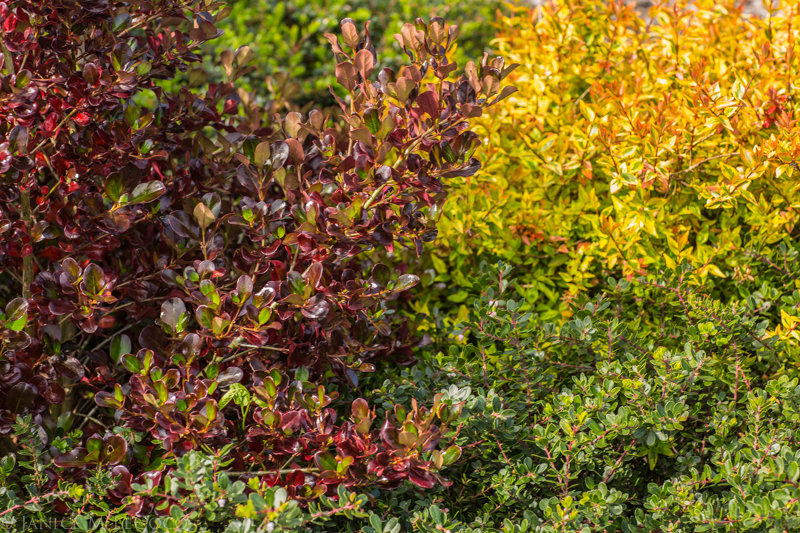 Our favorite is ‘Todd’s Dwarf, due to its full habit ruffled leaves, but there are many others, such as ‘Mariken’, ‘Troll’, ‘Munchkin’, ‘Jade Butterfly’ and ‘Chase Manhattan’. They all turn butter-yellow in autumn and generally drop their leaves all at once, making a glowing carpet. Four of these tough trees survived the atomic blast at Hiroshima, and they can withstand heat, cold, drought and pollution. They are some of the easiest care, low maintenance garden plants. 3. 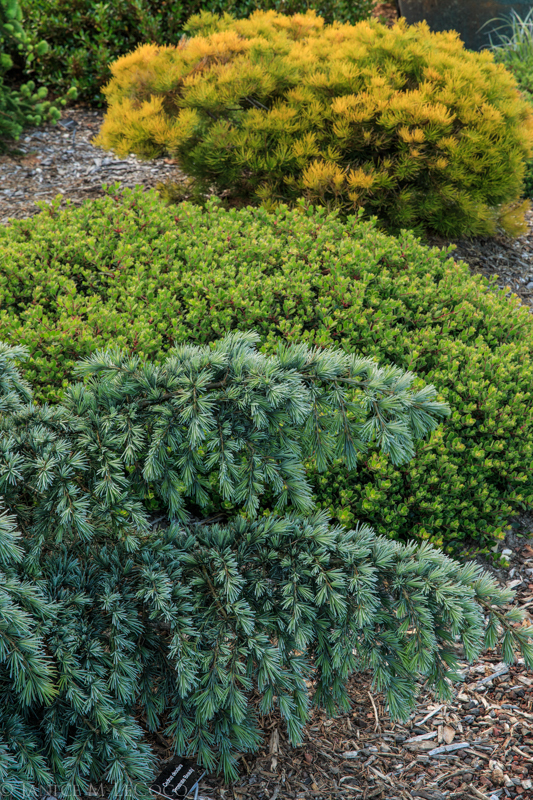 The lovely deodar cedar ‘Cream Puff’ (Zone 7-11) is one of the best medium-large evergreen shrubs for Bay Area gardens. The soft, green needles are a classic deodara feature, in this cultivar augmented by creamy white new growth that glows in the landscape, especially during the colder months. Deodara come from the middle East, and deal well with our Mediterranean climate. Once established they are drought-tolerant and can take full sun without any burning or scorching. Up close, the needles look like they have been flocked or frosted. ‘Cream Puff’ is slow-growing and can be kept to shrub form, as the one above, by snipping out any leaders that may form. 5. 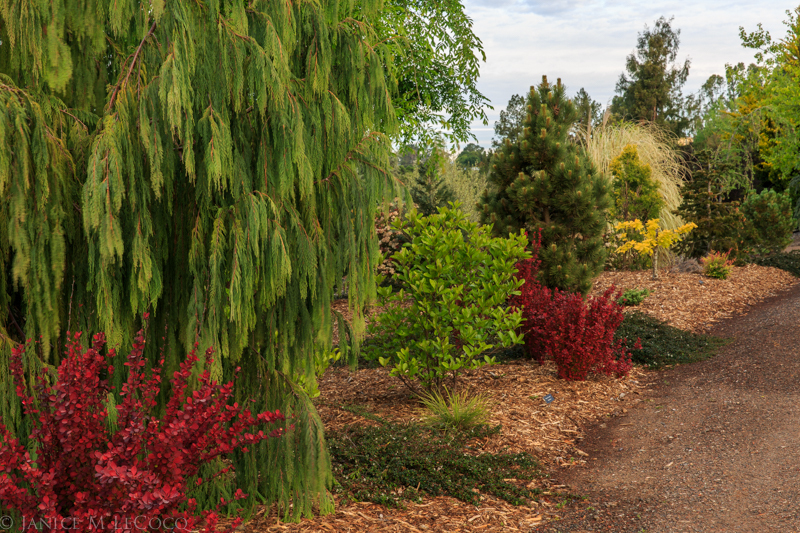 Trees never get enough attention on top plant lists, and there are several that we wouldn’t be without. Arbutus ‘Marina’ (Zone 7-9) tops the list for us because it provides all-year interest, incredible bark, glossy evergreen leaves and decorative flowers and fruit. Give it good drainage and a sunny spot and it will flourish. Judicious pruning can result in fabulous shapes and branching. The ancestry of ‘Marina’ is unknown; it was first observed at a nursery in San Francisco’s Marina District and it is likely a hybrid between two species of Arbutus. ‘Marina’ flowers year-round, with peak bloom in spring and fall, and the fruit persist from yellow immature to red mature fruit, for a very decorative effect. The leaves flush bronze, later maturing to deep green. There is not one part of this tree that is not showy! ‘Marina’ grows slowly but will eventually become a full-sized tree, so site it accordingly. 6. Osmanthus heterophyllus ‘Goshiki’ is our favorite variegated evergreen shrub. At a quick glance Osmanthus resembles holly and is commonly called ‘false holly’. There are many lovely green Osmanthus, and we use them extensively, but ‘Goshiki’ (Zones 6-9) is a special cultivar with its leaves flecked with yellow and cream. The new foliage has distinctly rosy-bronzy tones and the entire effect is light, bright and sparkling. We like to use ‘Goshiki’ against dark green conifers, where we get contrast of both color and texture. ‘Goshiki’ grows slowly and while it eventually will attain some size, it can be snipped back easily. Slow growth means that it is much harder for a plant to get out of hand! In this area it benefits from some afternoon shade, but it can be grown from almost full shade to full sun. It is a wonderful way to brighten a dark spot in the garden. 7. If you like the look of ornamental grasses but hate the mess and upkeep, Thuja plicata ‘Whipcord’ (Zones 6-9) is your plant. With the fountain-like habit of a large ornamental grass and the no-nonsense low-care attributes of a conifer (which it is! ), it is the perfect marriage of style and simplicity. 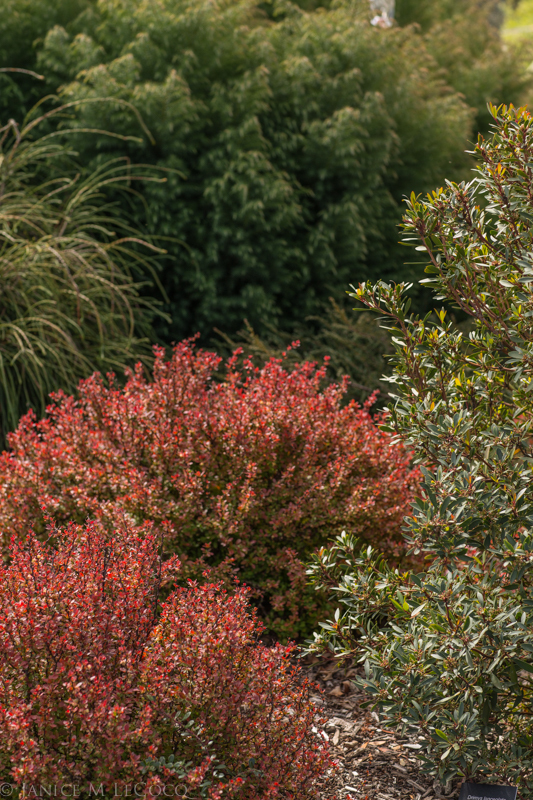 The dark green foliage bronzes in winter, complementing the rusty brown stems. Its mounding, weeping habit is graceful and soft and its pendulous branches move in the breeze. We often purchase special, highly desirable plants and find ourselves walking around the garden, trying this spot or that, never finding quite the right one. We can always find a spot for ‘Whipcord’! It seems to fit in anywhere. 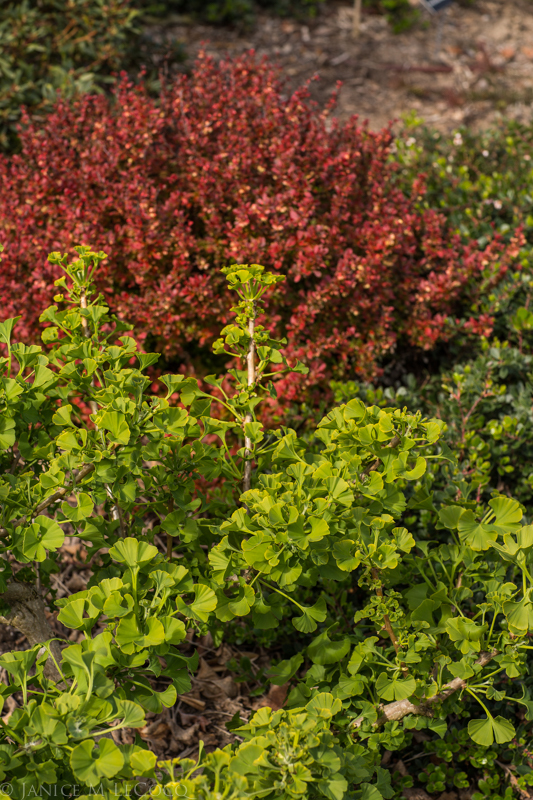 ‘Whipcord’ is slow growing but over time will form a 4-5′ shrub that is almost as wide. Easy pruning keeps it much smaller, much longer. 8. 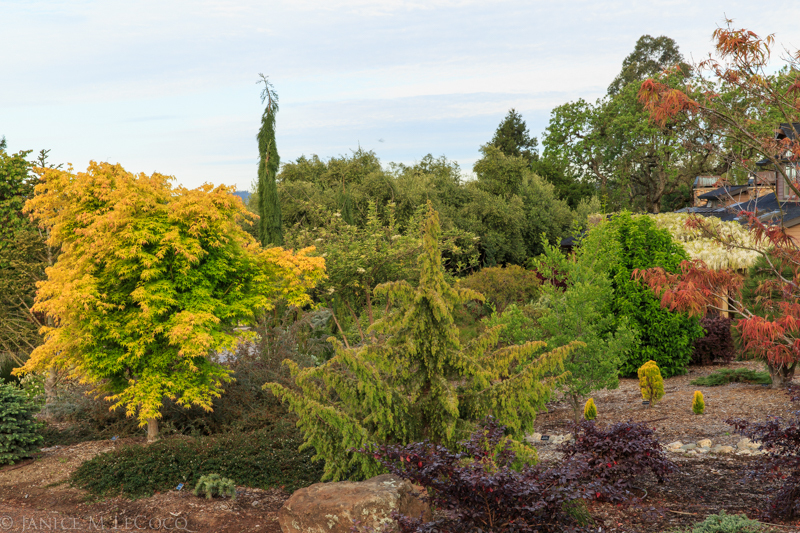 Acer pseduoplatanus ‘Esk Sunset’ (Zones 5-9) is such a lovely tree that we just can’t imagine being without it. 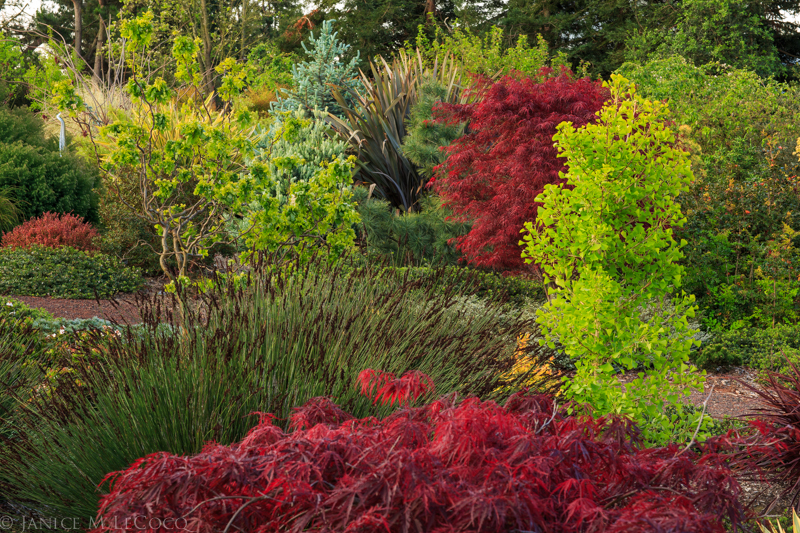 Sure, there are hundreds–maybe thousands–of beautiful Japanese maples, and we love them all, but to some extent they begin to blur into each other after a while. ‘Esk Sunset’ is unique. Even the other pseudoplatanus cultivars don’t match its incredible flair. The leaves are mottled pale salmon and green, and the coloration varies from leaf to leaf. The undersides of the leaves of ‘Esk Sunset’ are purple! And as if that weren’t enough, the undersides of the leaves are purple! When we catch sight of it backlit, we have to stop what we’re doing and just goggle at it. ‘Esk Sunset’ comes from the Esk Valley in New Zealand but some energetic nursery worker decided at some point that ‘Esk’ was short for ‘Eskimo’. Thus, you will usually see this tagged that way. 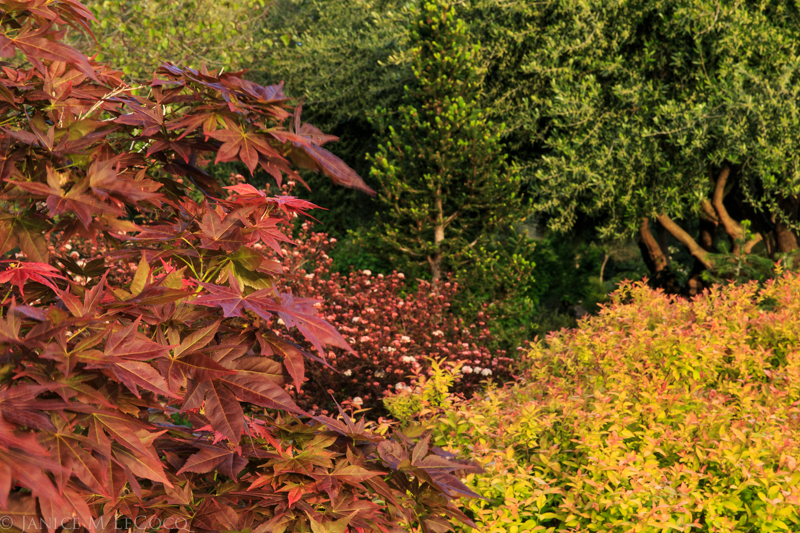 ‘Esk Sunset’ is a slow-growing tree that appreciates some afternoon shade. The largest tree we’ve ever seen was at Buchholz & Buchholz Nursery in Oregon, an in-ground specimen that was about 25′ tall. You really don’t want to be without this one if you can grow it in your Zone. 9. In California, planting natives is all the rage, and what we don’t understand is why that never seems to include the conifers? 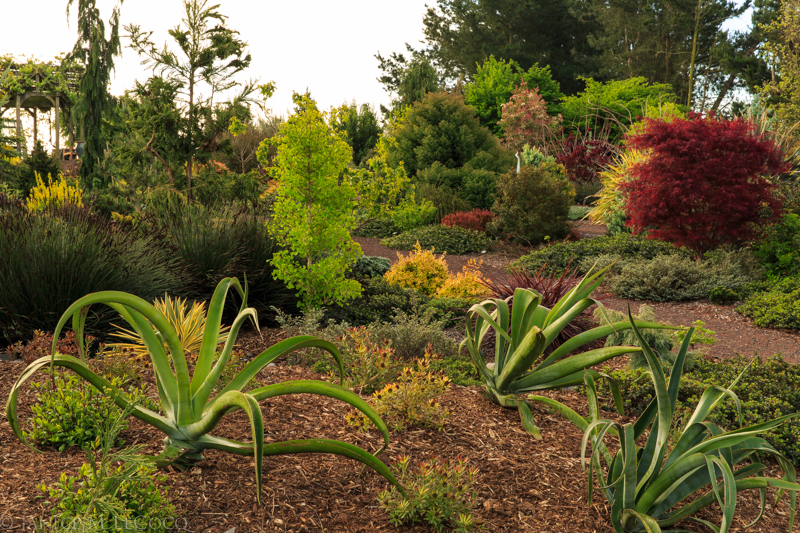 California has over 50 native conifers and many have garden-worthy cultivars. Pinus jeffreyi ‘Joppi’ gets our vote for one of the best. It has a short, squat habit with long (up to 8″), deep green bristly needles and resembles some kind of troll-like creature. We half expect it to talk to us when we come near. The specimen in the photo above has not been pruned, but we’re considering borrowing a technique from bonsai and opening up the structure a bit so that we can see the trunk. This will grow slowly to about six feet tall in 10 years, but it can be kept squat by cutting out the central leader. Don’t you want to pet it? 10. We end this entry with a controversial choice: Robinia pseudoacacia ‘Frisia’. ‘Frisia’ is a large, fast-growing tree that not all gardens can accommodate. Some say it self-sows almost to the point of invasiveness; we have never found it so here, with our drip irrigation and sumptuous mulching. Others complain about the brittle branches–again, they have never presented a problem for us. We do some pruning to tidy it up but other than that we leave it alone. 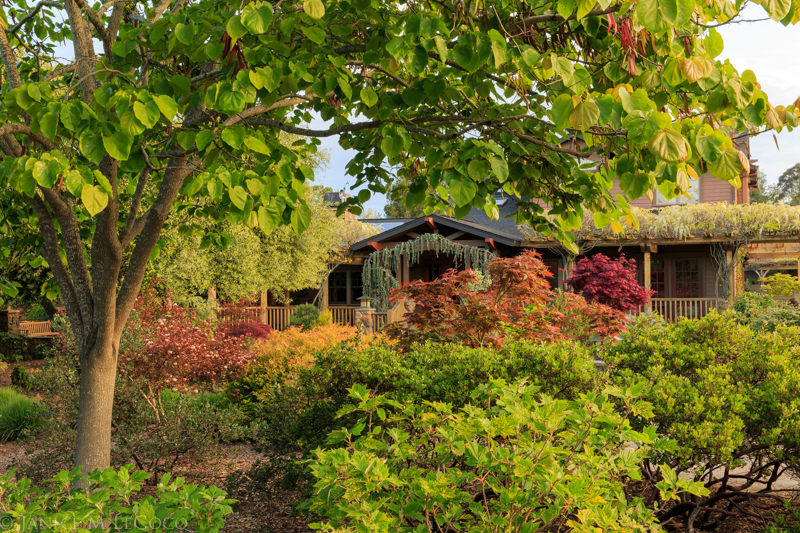 The key to making this tree work in your garden is having enough space for a large tree, and preferably siting it against a backdrop of darker foliage, such as the redwoods in the photo. Some do regularly prune it hard and use it as a large shrub, but we prefer the graceful canopy and the dappled shade that it creates. The light underneath is golden and bright. ‘Frisia’ only gets more beautiful in autumn, when its chartreuse foliage softens to a creamy golden yellow. It rivals the Ginkgos for its beacon-like effect as the days shorten at year end. Jan and Sara took a brief hiatus from Form and Foliage in the first half of 2014 as Jan took photography classes and Sara became the website editor for the American Conifer Society. We hope to be back on a more regular schedule in the second half of the year. Categories: Circle Oak Gardens, Plant lists | Tags: best foliage plants, conifers, evergreen shrubs, evergreens, foliage color combinations, foliage gardening, foliage plants, plant selection, top plants, woody shrubs | Permalink.